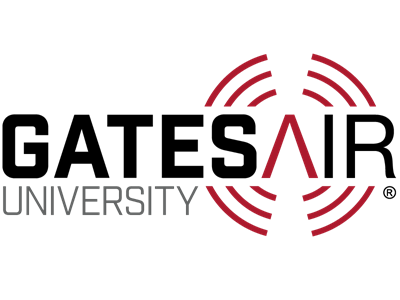 Welcome to GatesAir University, your online source for Broadcast Technical and Operations training! 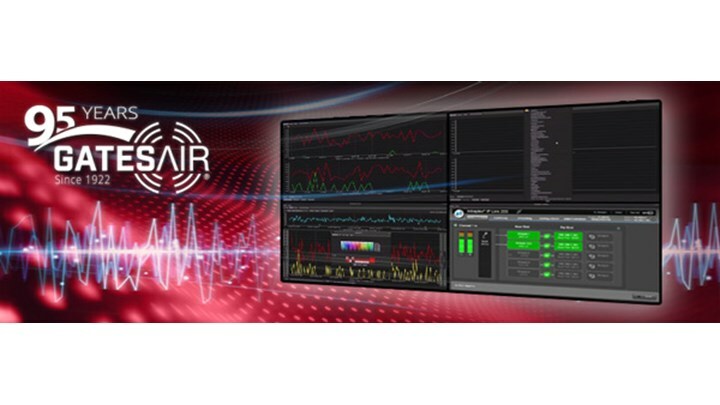 This site offers access to a variety of video courses designed and administered by the experienced experts at GatesAir, the world leader in over-the-air television and radio broadcast transmission and STL technology. Operators and engineers alike will be able to dive deep into the world of RF, to keep up with current broadcasting trends, to get the most out of their GatesAir products, and more. For more info about broadcast education, including in-house live courses and product training, please visit GatesAir's Training Center page. Please note that all videos on this site qualify for ½ SBE credit, identified under Category I of the Re-certification Schedule for SBE Certifications. First pod as a prerequisite to the Introduction to Broadcast Transmitter Technology class. GatesAir's Tim Anderson (Manager, Radio Product and Business Development) introduces the newest addition to our FM transmitter line: the Flexiva™ FLX. In this webinar, originally broadcast on November 11, 2015, Tim discusses the architecture and efficiency enhancements that can lead to significant savings in total cost of ownership and return on investment for liquid-cooled systems. Learn about the many advances in and applications of today's RF materials and technology. Part of the GatesAir Connect Lunch and Learn series. Presented by Ed Sandor, Applications Engineering Manager of Taconic, and Lee Klaus, Sales Engineer for Cain-Forlaw. TV Product Manager Martyn Horspool discusses innovations in the ease-of-use, maintenance, modularity, and remote control in GatesAir's newly-updated UHF and VHF over-the-air transmitters. This webinar will also showcase new GUIs, SNMP applications, and NMS integration. Third pod as a prerequisite to the Introduction to Broadcast Transmitter Technology class. Second pod as a prerequisite to the Introduction to Broadcast Transmitter Technology class. GatesAir's Keyur Parikh discusses microwave studio-to-transmitter link solutions for today's radio transport requirements, featuring the industry's most advanced 950 MHz digital STL available: the Intraplex HD Link. With RF power to spare, an integrated IP gateway with sophisticated data handling capabilities, and multiple channels of audio, HD Link is designed to manage all FM and HD Radio transport scenarios. Important highlights about the FCC incentive auction, its ramifications and expectations for broadcasters, and how to prepare for next-gen TV. Presented by GatesAir's Martyn Horspool. A discussion about post-auction preparation, channel assignments, site surveys, reimbursement, auxiliary transmitters, and more. Presented by GatesAir's Steven Rossiter and Nathan Smith. Keyur Parikh discusses the GatesAir STL products showcased and premiered at the 2016 NAB Show in Las Vegas, NV, USA, including IP Link 100p, the award-winning IP Link MPX, and various enhancements to IP Link's software, HD Link, LiveLook, and NetXpress. Learn about one of the world's most popular terrestrial digital radio modulations and how it stacks up against its peers. Part of the GatesAir Connect Lunch and Learn series. Presented by Tim Anderson, CPBE, Radio Product Development for GatesAir. To help fulfill the increasing demand for wireless broadband access in America, the FCC plans to reallocate a portion of broadcast spectrum used by television stations to wireless carriers. FM radio stations who share common towers or roof tops with one or more TV stations may have significant interruption to their operations as a result of the upcoming FCC spectrum repack. This is estimated to affect roughly 35% of all American FM stations. Early investigation into any plans neighboring TV stations may have will help you map out your plans to stay on the air. This important webinar will detail the key areas of your operation that could require updates, how to avoid downtime, and how to get your plans and sourcing well in order before it is too late! A recording of GatesAir's educational online seminar on the U.S. Spectrum Repack process and its potential implications to the transmission infrastructure of all TV broadcasters and networks. • What is TV Spectrum Repack? • Transmitter Channel Change or Replacement? Please visit our website at http://www.gatesair.com for more information! 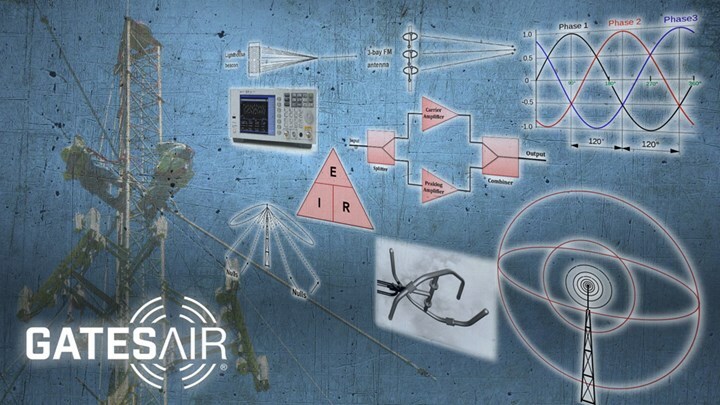 Designed for today’s IT-educated broadcast engineers, this webinar series is a powerful educational source of RF and broadcast engineering fundamentals. 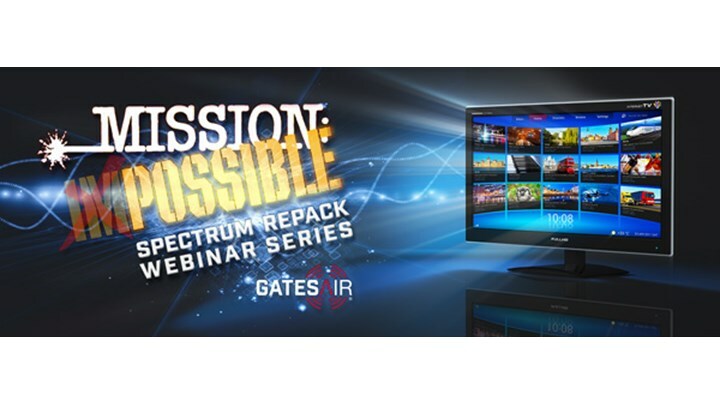 Developed as the prerequisite content for students enrolling in the four-day "Introduction to Broadcast Transmitter Technology" course at the GatesAir Training Center in Quincy, IL, these pods can also be used as a standalone online series. Whether taking advantage of IP networks, 950 MHz links, or both, these informative videos will introduce you to various techniques and solutions aimed at improving your radio station's studio-to-transmitter link capabilities.